Less than three out of four Florida drivers has auto insurance. If you have been injured in an accident involving an uninsured or underinsured driver, we can explore the other sources of compensation you may have available. What Are The Rules For Uninsured Motorists? Under Florida law, all drivers have an obligation to carry auto insurance. The reason for this is simple. If a driver causes a serious accident, he or she should have insurance to cover the victims’ medical expenses, lost wages, and other losses. Unfortunately, data from Insurance Information Institute indicate that just 73.3 percent of Florida drivers are insured. This is the lowest rate of insured drivers in the nation, and it presents a serious problem for injured drivers and passengers who do not have adequate coverage of their own. With regard to compensation for accident-related injuries, there are three primary types of auto insurance available in Florida: personal injury protection (PIP), bodily injury liability (BIL), and uninsured/underinsured motorist (UIM) coverage. PIP is what is known as “no-fault” coverage, and it will pay your medical expenses and lost wages (up to your policy limit) regardless of who is to blame for your accident-related injuries. Bodily injury liability (BIL) coverage is insurance that you buy to protect yourself if you seriously injure someone else in a collision. This is important coverage for both at-fault drivers and crash victims – and unfortunately, it is coverage that many Florida drivers do not have. While you can sue an at-fault driver personally if he or she does not have BIL coverage, in most cases, a driver with inadequate insurance is not likely to have sufficient assets to cover your injury-related losses. Uninsured/underinsured motorist (UIM) coverage is insurance that you buy to protect yourself in the event that you get hit by a driver without BIL coverage (or without adequate BIL coverage). When you file a claim under your UIM policy, your insurance company “stands in the shoes” of the at-fault driver’s insurer. As a result, unlike no-fault PIP coverage, in order to collect under your UIM policy, you will need to be able to prove that another driver’s negligence is to blame for your injuries. While you can try to file a UIM claim on your own, due to the challenges involved, it is best to seek experienced legal representation. At Rue & Ziffra Law Offices, we are passionate advocates for individuals who have been injured and families who have lost loved ones in accidents involving uninsured and underinsured drivers. With over 180 years of combined legal experience, we know the consequences of inadequate insurance coverage all too well. Unfortunately, we also know that insurance companies will often go to great lengths to take advantage of their policyholders, and those accident victims who are unrepresented typically end up settling for far less than they deserve. Do You Have Adequate Auto Insurance Coverage? What is the PIP policy limit and deductible? Florida law requires all drivers to carry a minimum of $10,000 in PIP coverage. However, you have the option to purchase more. 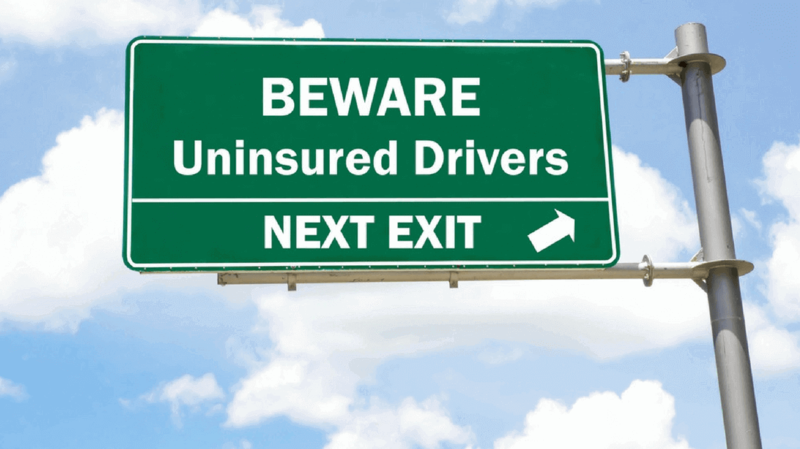 Does the policy include uninsured/underinsured motorist (UIM) coverage? If you have UIM coverage, filing an uninsured/underinsured motorist claim may be your best option for securing just compensation for your injuries. Does the policy include bodily injury liability (BIL) coverage? The reason we look at this is that by law if you buy BIL coverage, your insurer must also provide UIM coverage unless you specifically reject it. If you have BIL but you do not have UIM, it may still be possible to obtain UIM coverage for your accident. Regardless of whether you have been involved in an accident, we urge you to let us review your auto insurance policy. Our attorneys will gladly review your policy free of charge and let you know if you should consider purchasing additional coverage. Q: If I was injured in an accident involving an uninsured motorist, are PIP and UIM my only options? No, not necessarily. While you should certainly take advantage of your PIP coverage and file a UIM claim if it is warranted, it is important to explore your other options as well. For example, one option you might have is to file a “products liability” claim against the manufacturer of one (or both) of the vehicles involved in the accident. Under Florida’s product liability law, vehicle manufacturers are financially liable for any accident-related injuries resulting from vehicle defects. This includes design defects (vehicles and components that are inherently dangerous), manufacturing defects (flaws in a vehicle’s construction), and failures to warn (not providing adequate notice of the risks relating to a particular product). Florida’s product liability law is a “strict liability” statute. This means that you do not need to prove negligence in order to recover financial compensation. Q: What is “stacked” insurance coverage? If you have “stacked” or “stackable” insurance coverage, this means that you can combine the policy limits on multiple vehicles for a single claim. So, for example, say you have UIM coverage limits of $100,000 per person and $300,000 per incident, and you have stackable coverage on two vehicles. If you or any other member of your household is injured in an accident involving an uninsured driver, you can stack your coverage to $200,000 per person and $600,000 for the entire incident. Even if you have UIM coverage, this does not necessarily mean that your coverage is stackable. You must pay extra for stackable coverage; and if you opted out of stacking when you purchased your policy, this feature will not be available. If you are not sure what your policy says about stacking, one of our attorneys will be happy to review your policy for free. Q: What types of losses does uninsured/underinsured motorist insurance cover? Q: How long do I have to file a UIM claim in Florida? While Florida has a four-year statute of limitations for most auto accident-related injury claims, you actually have five years to file a claim under your uninsured/underinsured motorist policy. While this is important to know, it is more important that you discuss your case with an attorney as soon as possible. When any delays or mistakes have the potential to jeopardize your financial recovery, you need to have an experienced legal team on your side. Why Choose Rue & Ziffra Law Offices for Your UIM Auto Accident Claim? 1. Our Experience in Your Community. We are a local law firm that has been serving clients in Volusia and Flagler Counties for more than 40 years. Whether you are a current client or you have just been injured, you can reach us 24/7. When you choose us to represent you, we will provide you with your attorney’s cell phone number so that you can get in touch at any time. When you choose our firm, you are choosing to put a team of attorneys on your side. Our attorneys work together on every case to make sure our clients receive the best representation we have to offer. If you need more information about uninsured/underinsured motorist (UIM) insurance coverage, we encourage you to contact us for an initial consultation. Your initial consultation is 100 percent free and confidential; and with our contingency-fee representation, you pay nothing until we win. To learn more about your rights from our team of experienced auto accident attorneys, please call (386) 788-7700 or request an appointment online now.